Engineering Design Welcome to Ultra-Tech Enterprises, a Railroad Testing Equipment Provider in Punta Gorda, Florida . Ultra-Tech offers complete electronic, electro-mechanical, mechanical, and software design services ranging from complete product design to custom software applications. Electronic design capabilities range from 32 bit digital signal processing (DSP) applications to discrete analog systems. We offer custom design services to meet your specification requirements. 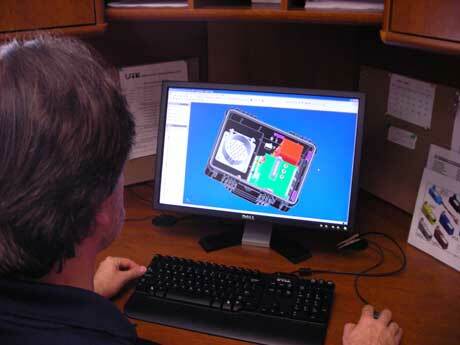 Printed circuit board layout, electronics packaging, and custom cable assemblies are also part of our design service. Our mechanical design capabilities include Injection molded parts, metal stamping, aluminum extrusions, and sheet metal enclosures. Contact us for all of your design needs.